Matthew 14:22-33 is my all time favorite bible story. Hands down it is THE story that God leads me back to over and over again to challenge me to trust Him with everything… even the scariest and most overwhelming of details. 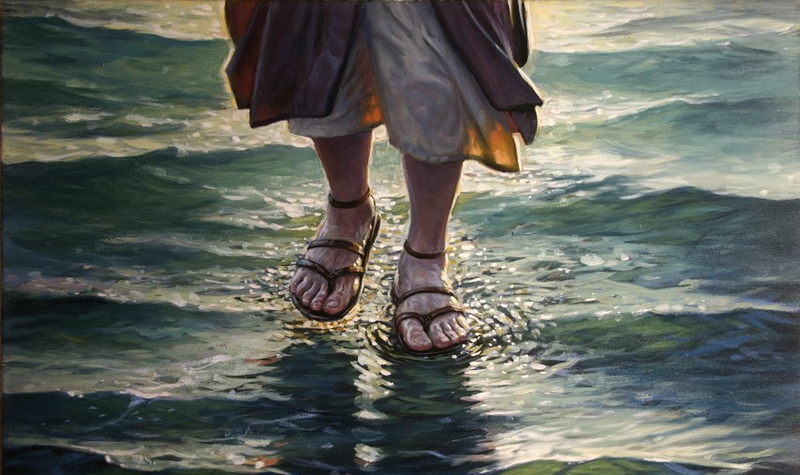 This of course is the story of Jesus walking on water. We’ve all heard the story at least once in our lives… How the disciples were in a storm, they get scared, Jesus shows up and calls Peter out of the boat, Peter gets out…walks…sinks… and Jesus comes to the rescue. Ta daaa the Gospel of the Lord. But it’s the details of this story that keep grabbing my attention. Imagine the intensity of that moment for Peter. 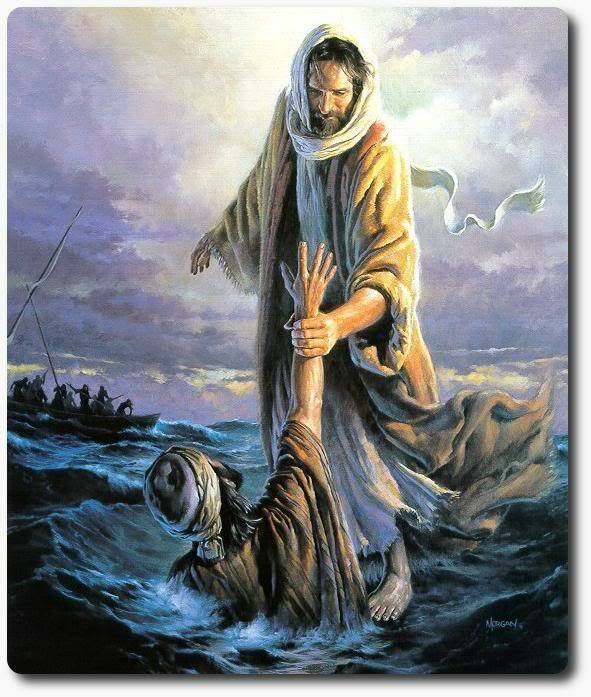 The wind and waves are blowing like crazy, the disciples are trying to get everything under control so the boat doesn’t sink, there may or may not be a ghost out on the water, and Peter decides that this is a really good moment to trust Christ with his life. We all have moments where we lose that eye contact with Christ. We focus so much on the wind and waves of life that we forget who is out there walking this journey with us. We get distracted by to do lists, deadlines, problems, sickness, etc… and just life period… and we start to focus more on those details than on Christ. And it is when we start to lose eye contact that life can start to feel the most overwhelming. But Christ doesn’t abandon us. While it might not feel like he immediately stretches out his hand, he does come to our aid in the midst of distress and reminds us of his overwhelming love. Over the past several years, I’ve come to realize that life outside of the boat is where we are called to live as Christians. Christ invites us to step outside of our comfort zones and into an adventure of trust and confidence in his mercy and love. But Christ doesn’t just show up when life is perfectly calm, the sea is still, and there’s a rainbow of happiness of peace in the background. In fact, there are times when God chooses some of the most intense moments to ask us to trust him. Just like the disciples were trying to get control of their boat and their fear, Christ sometimes uses the times when the wind and waves of our daily lives to invite us to trust him even more. This isn’t always easy. I know that there are times when I would much rather stay curled up in a corner and just hang on for the bumpy ride. Sometimes just looking over the edge of the boat is enough to make me think “No thanks God, I’ll pass.” Or I focus so much on the craziness happening that I forget that Christ is inviting me to go out beyond what I think I can do for myself and allow him to do the impossible. To be honest, I’m dealing with a lot of “wind and waves” myself right now. I’m preparing to take my comprehensive exam for my Masters degree, trying to accomplish several different projects at work, working on a thesis, and wedding planning all at the same time. Needless to say, eye contact with Christ has been a bit of a struggle lately. But in the middle of all of this I realize that it is in these busy/hectic times that God can show off the most. If I’m willing to make Christ the focus and take just one step, one moment at a time, then it will be that much easier get through the rest of the year and beyond. And even after the wedding and graduation are over with, I know that the “out of the boat” adventures will continue. But that’s the beautiful thing about the Christian’s walk with Christ… there’s never a dull moment. While there are times when Christ asks us to be at peace with him in the boat (see Matthew 8:23-27), there are many other times when Christ calls us by name to a daring adventure out on the waves. Question is, are we willing to take that first step and trust him with everything?